Adding a small awning window to each of these rooms floods them with natural light. The bookshelf on the right was a useful way to cover a stack vent from the kitchen below. 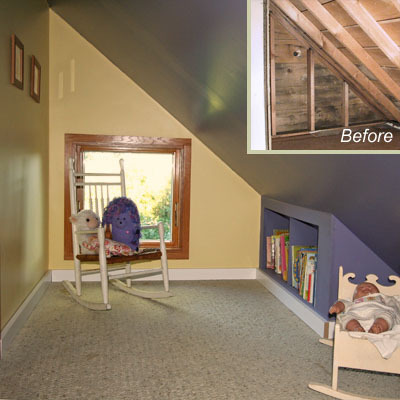 One side of this room is now devoted to a tiny sleeping area while this brighter corner is a place to play, imagine, read, and watch what's going on outside!